Keyline is ordered set of principles, techniques and systems. When fully utilised Keyline Designs produces strategies and taticcs to develop the natural or existing landscape through regeneration and enhancement. On Keyline properties the typical vistas are of lakes with water birds, roads along the contours and ridge lines, contour tree belts, healthy crops and green pasture growing in dark biologically fertile soil. Keyline Designs is a consulting service providing assessments and plans for the sustainable development of land and water resources in agricultural and suburban areas. 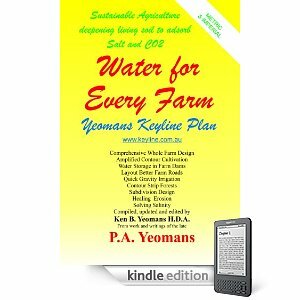 To ORDER THE BOOK: "WATER FOR EVERY FARM - Yeomans Keyline Plan"
CLICK HERE to order the Amazon Kindle edition for immediate online delivery. Kindle books can be read nearly all computers, touchpads and smartphones. CLICK HERE for DELIVERY WITHIN AUSTRALIA of "Water for Every Farm - Yeomans Keyline Plan"
CLICK HERE > for DELIVERY OUTSIDE AUSTRALIA of "Water for Every Farm - Yeomans Keyline Plan"
DEBUNKING BANKING – HOW TO REMOVE THE HEAVY YOKE OF BANK DEBT WITH DIVIDEND PAYMENTS TO ALL CITIZENS AND STOP INFLATION AT THE SAME TIME. 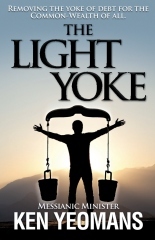 THE LIGHT YOKE by Ken Yeomans. Keyline is a set of principles, techniques and systems, which form the logical basis for a practical plan for the sustainable development of rural and urban landscapes. The first book on Keyline book was published in 1954. In it, P.A. 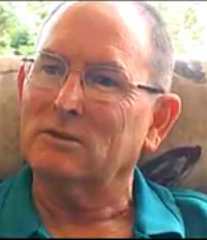 Yeomans exploded the myth that it takes 1,000 years to produce an inch of topsoil. Yeomans pioneered, among other things, the use of on farm irrigation dams in Australian, as well as chisel plows and subsoil aerating rippers. Yeomans perfected a system of amplified contour ripping that controlled rainfall run off and enabled the fast flood irrigation of undulating land with out the need for terracing. Although Keyline was initially developed for rural property planning and is superb Landcare it also provides a basis for more sustainable suburban planning and larger subdivisions. Keyline Designs features large earth walled irrigation dams that are all equiped with through-the-wall Lockpipe systems to gravity feed irrigation stock water and yard water. Across the landscape the dams may be interlinked by channels. Graded earth channels broaden the catchment areas of high dams, conserve the height of water and transfer rainfall run-off into the most efficient high dam sites. Flat land flood irrigation at up to sixteen hectares per hour and flood irrigation of undulating grass land. The road systems of Keyline follow both ridge lines and the graded contour water channels. Contour roads and paths, being almost flat, provide easy low energy movement across even very undulating land. Avenues of trees are left or planted parallel to the roads and channels and as well as in tiered contoured forests. Better building sites become revealed and then fences and gateways can be positioned more strategically. Within this harmonious design, soil regeneration can occur by deepening the bio-fertility of the topsoil and converting subsoil into living topsoil. This is achieved partially by soil aeration, which increases water absorption, also by an amplified contour cultivation pattern, which prevents soil wash and by using an enhanced cell grazing design for "rational" grazing. Incidental results are the healing of soil erosion and salinity and better stock health. In a rural setting Keyline is far more than a unique combination of water conservation and farming with nature. Keyline completely supersedes the widely imposed but misconceived concept of Soil Conservation. One of the typical benefits of Keyline is the rapid development of living soil. When Keyline Design is applied to urban design the contour roads will assist low energy transport. Water storage within the suburban area will be both picturesque and provide a readily available supply of "yard" water for irrigation of suburban gardens and park. It was back in the 1970's that the originator of Keyline, the late P. A. Yeomans proposed the use of Keyline methods to create City Forests for sewage effluent utilisation. “Our soils have progressed incredibly fast, of course! In 2008 we saw 9” deep topsoil profiles become 17” + in a single growing season. "J.V. Gympie, Queensland" "I enjoyed very much..."
Full text of a brief letter received August 8, three weeks after office consultation. 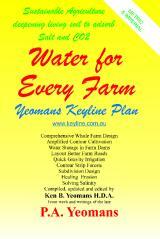 "Water for Every Farm - Yeomans Keyline Plan"
Ken B. Yeomans H.D.A., M.A.T.A. This book on the Keyline system is in both metric and imperial measurement. Superb Landcare for Sustainable Agriculture.
" I read a copy of "Water for Every Farm". I think it's brilliant. The best solution I have read to supply all our water needs. As I have a background in geology and interest in perma-culture, quassi-biodymanics (anything organic), I visualise a holistic approach to sustainable land use and care…"
The KONDININ GROUP publish a book called LIQUID ASSETS. What are keylines and how do they work? Well-designed landscapes are beautiful and highly productive. In Australia and elsewhere Keyline Designs brings the order of permanence into decision making for rural land design. Increased profits come from reduced production costs and increased productivity. This is done most efficiently in a landscape specifically designed to achieve this result. The application of Keyline Designs results in a custom made property plan. Keyline reveals the potential as well as developing the unique features of each property. Keyline plans for optimised farm water utilisation and improving soil fertility. Your Keyline Designs consultant will reveal the Keyline potential of your property. Land planning is facilitated by contoured maps. When these contour maps overlay rectified (true-to-scale) aerial photograph, more comprehensive planning can be achieved. It is a good investment to obtain a contoured aerial photograph of your land. These photo-maps can also be produced in a digital format. Keyline Designs can simplify property planning by supplying large scale, contoured, aerial photographs. These orthophoto contour maps are the perfect basis for planning property development. They can reveal, especially to the experienced eye of your Keyline consultant, valuable information about the development potential of your land. They can reveal the best locations for fences, roads, irrigation dams and channels, contour banks, building sites and tree lines. These contoured orthophoto maps reveal development potential and enable better cost estimations than are otherwise possible. Properties currently covered by departmental topographic maps showing only ten metre contour intervals, can be re-mapped onto existing aerial photo stocks with new form line contours at two metre intervals. An orthophoto map is derived from a three-dimensional image of the area. This image is created by scanning overlapping pairs of aerial photographs into a specialised computer. It is possible to calculate the height of any point by comparing the overlapping images. A finely spaced survey grid is draped over selected areas within this virtual model of the landscape. Computer analysis enables the height of each point on the grid to be discovered and using this data the new contour lines are then drawn. Prior to printing the aerial photograph is rectified to a true scale so as to match the contours and property boundaries. The matching digital data is also be available on CD. With suitable software it is possible to view the property as a three dimensional, digital terrain models (DTM). Thanks for your BRILLIANT ortho map of my property. It looks fantastic. I have just received it but have not yet got the CD. Hope it will arrive soon. I can tell you that the negotiations re the neighbours’s farm are entering the middle stages and if they go in my favour, I shall certainly be calling on you for assistance. Dont worry about the CD as a letter can take a full month to get across Johannesburg. It will get here eventually. From its inception in August 1996 till February 1998 a total of 2,950 hits were recorded. From February 1998 to Feb 1999 there were 3290 visits recorded.